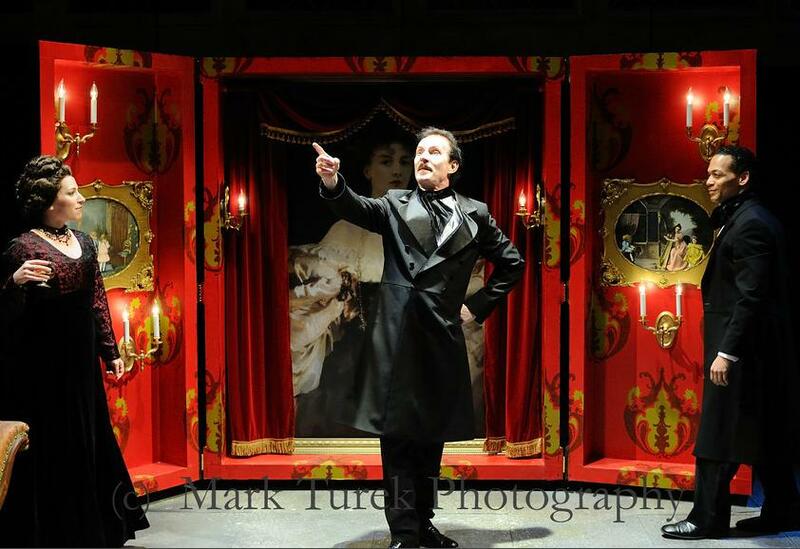 For the premiere of company member Stephen Thorne's play "The Completely Fictional — And Utterly True — Final Strange Tale of Edgar Allan Poe", a cabinet unit opened to reveal a salon set inside, complete with Victorian wallpaper. 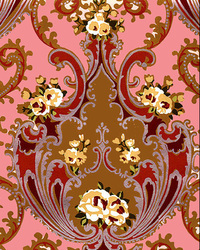 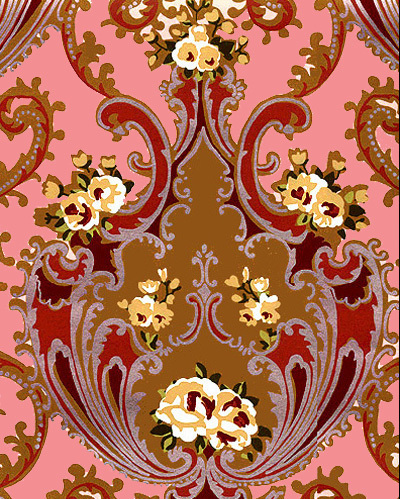 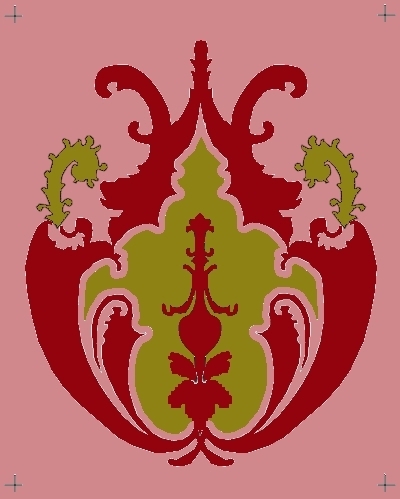 The designer sent a sample image of the desired wallpaper, asking that it be simplified to a oversized stencil design. I edited and rendered a stencil based off the provided thumbnail image and then stenciled the pattern onto the walls.